Dr. Steven Ghan was named a Pacific Northwest National Laboratory Fellow, a top honor in science and engineering given at the Laboratory. Ghan, a climate scientist, leads the Aerosol Climate Initiative (ACI), a Laboratory Directed Research and Development program at PNNL. Ghan's scientific contributions include research to represent sub-grid atmospheric processes, including aerosol-cloud interactions within global climate models. 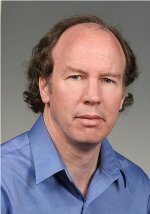 He is highly recognized for his expertise in developing, evaluating, and applying parameterizations for climate models. In addition to his ACI leadership, which has completed its fifth successful year, Ghan is an editor of the Journal of Geophysical Research-Atmospheres, since 2007. He is a member of the ARM Climate Research Facility Science Board, co-chair of the U.S. Department of Energy's Atmospheric Systems Research (ASR) Cloud-Aerosol-Precipitation Interactions Working Group, and a member of the Scientific Steering Committee for the Community Climate System Model. He has authored or co-authored more than 95 peer-reviewed publications. "Steve has established himself as a world-renowned expert in cloud-aerosol interactions and consistently has provided unprecedented improvements in modeling affecting climate research worldwide. His peers consistently seek his technical perspective and laud his commitment to promoting climate change research," said Dr. Charlette A. Geffen, Atmospheric Sciences and Global Change Division Director at PNNL. Ghan is one of 7 scientists named by Pacific Northwest National Laboratory as this year's fellows.